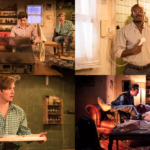 Production shots from the King’s Head Theatre’s Trafalgar Studios production of Strangers in Between, Tommy Murphy’s (both highly amusing and questioning) play about a gay teen growing up in modern Australia. 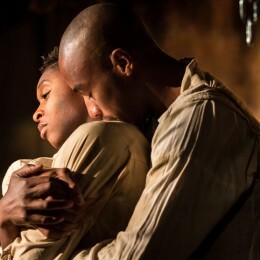 The show runs to 3 February. 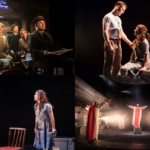 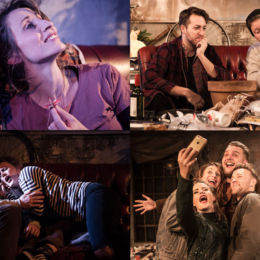 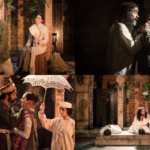 Production shots from the double-cast La Bohème at Trafalgar Studios, proof-positive that you can do amazing things with opera in small spaces! 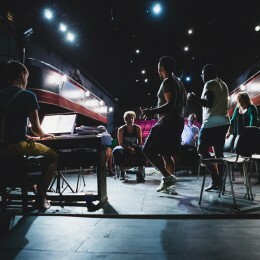 The show runs to 6 January. 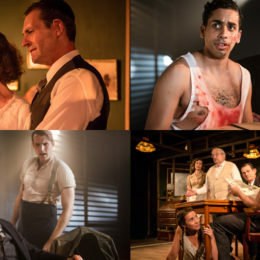 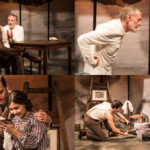 Production shots from the Trafalgar Studios production of Arthur Miller’s first play, No Villain. 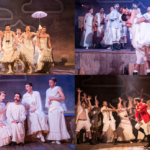 If you’d like to see it you need to hurry and book tickets. 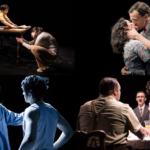 The show closes on Saturday. 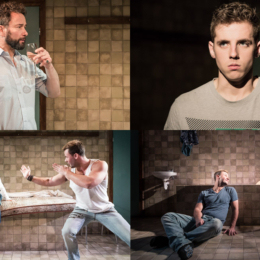 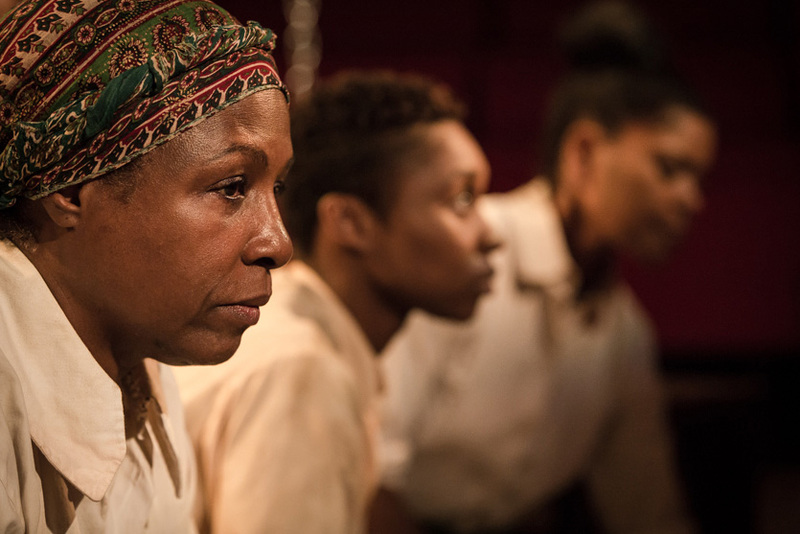 Production shots from the beautiful production of the first AIDS play, As Is, now playing at Trafalgar Studios. 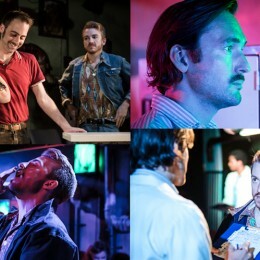 And we’re back for the production photos of the European premiere of the Ahrens and Flaherty musical Dessa Rose — now open at Trafalgar Studios.